A height-test balloon, similar to the one in the attached image, was spotted several weeks ago over Aquatica, SeaWorld’s Waterpark™, in Orlando. 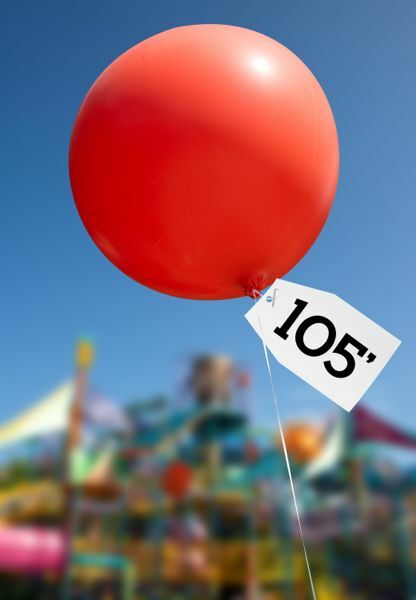 This type of balloon is commonly used by theme parks to check sight lines for new attractions. Speculation at the time had the balloon 50 feet off the ground. That information is incorrect. The balloon was more than 100 feet high. Something tall is coming to Aquatica Orlando in 2014. Although designers haven’t shared details of the new attraction, they confirm it will be the tallest water thrill ride of its type in Orlando.